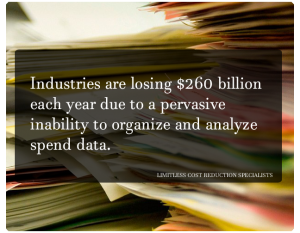 At LIMITLESS we understand how to best help Clients save money, while ensuring you stay highly effective and efficient with your services. We strive daily to help you become more financially sound, putting more money back in your wallet. The average savings we find our clients is between 25 – 37%. We have saved companies tens of thousands on their telecom, utility and vendor expenses with our proven cost reduction process. The results from the LIMITLESS Process allow our Clients to reinvest the “savings” into growth initiatives or apply these “found profits” to their bottom line. 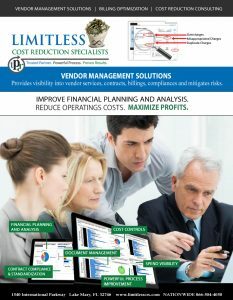 Contact LIMITLESS today for a FREE CONSULTATION to discover how to get control of your unmanaged spend and reduce expenditure on business services. Nationwide: 866-504-4050. Call us. We will answer the phone OR Email save@lt-crs.com.